Aversion to debt is fine, but get a credit card, advisers tell 27-year-old who’s trying to keep her financial life simple. Morgan Denno is a self-described “no-debt minimalist” with no credit cards, no car, no liabilities and a promising career in digital marketing. So what could Denno, 27, learn from a couple of financial planners? Plenty, as it turned out. 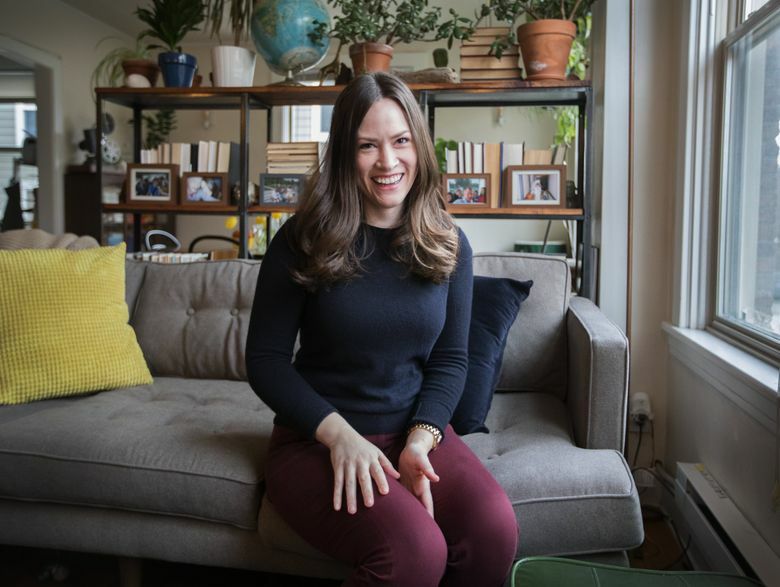 Last year, after paying off her student loans, the Seattle resident began wondering whether she was on the right path toward a secure financial future. Denno occasionally reads the Money Makeover feature in The Seattle Times. In October, she decided to apply. “I wanted to get real advice about what I should be doing,” she said. Read more Money Makeovers here. The Financial Planning Association of Puget Sound paired Denno with Thom Allison and Jessica Kirwin of Allison Spielman Advisors in Bellevue. Allison and Kirwin concluded that Denno was off to a good start. Denno moved to Seattle after graduating from San Diego State University in 2011 with a degree in journalism and media studies. She currently earns about $60,000 a year as a digital marketing specialist for a Seattle real-estate firm. Like most young adults, Denno’s personal finances are relatively simple. She had about $12,700 in checking and savings accounts at a traditional, brick-and-mortar bank. Denno also has about $9,600 in a 401(k) account that she used for previous employers who matched her retirement contributions. Because she has no other assets and no debt, Denno’s current net worth is about $22,300. She controls her spending with sheer discipline as well as by splitting living expenses with her boyfriend. They share a unit in an older apartment building in one of the city’s close-in neighborhoods. Denno’s aversion to debt stems from seeing other family members struggle with it. “I did not want to have debt on my shoulders,” she said. Nonetheless, Denno and her parents borrowed to pay for her degree, and she held down retail jobs throughout college to offset expenses. Denno graduated with about $30,000 in student loans. She was determined to pay off the debt quickly. Every windfall, such as a bonus at work or a tax refund, went to retiring her student loans. “It was tough,” she said. But she made her final payment in July. Allison and Kirwin had Denno fill out questionnaires that identified her values and her vision for the future. Then they pored over her finances. One of their recommendations surprised Denno. Save more money, they told her. She had been saving 3 percent of her earnings, and feeling good about it. But Allison and Kirwin told her to increase her savings fivefold — to 15 percent of her gross salary. Kirwin explained that Denno would not accumulate enough money for retirement at her current savings rate. An easy solution for Denno would be to put the cash she had been using to pay off her student loans into retirement savings. Also, Denno is young, which means “time is on her side,” Kirwin said. The planners insisted that Denno get a credit card and pay off the balance every month. She needs to establish a credit history, they said. Denno also wants to travel, and credit cards are nearly essential for such things as hotel reservations and car rentals. Only once before in his 30 years as a financial planner has Allison advised a client to get a credit card. “Usually we’re telling people to get a pair of scissors and cut it up,” he said. Allison and Kirwin urged Denno to build an emergency fund large enough to cover four months of living expenses. In her case, that would be about $12,000. An emergency fund would keep Denno from taking on debt in case she loses her job or gets hit with a large and unexpected expense. At Allison and Kirwin’s urging, Denno also moved $5,000 from her bank savings account into two certificates of deposit with higher interest rates. One CD, with a term length of 24 months, has an annual percentage yield, or APY, of 2 percent. The other CD comes with a 60-month term and an APY of 2.5 percent. Those interest rates are a significant improvement. The standard APY for a savings account at Denno’s brick-and-mortar bank is 0.01 percent. One of Denno’s biggest insights from working with Allison and Kirwin had little to do with money, however. By talking with the planners about her values and vision, Denno realized, for the first time, how important it was for her to be self-reliant. She believes her new financial road map will help. “I have a much stronger idea about what I should be doing,” Denno said.